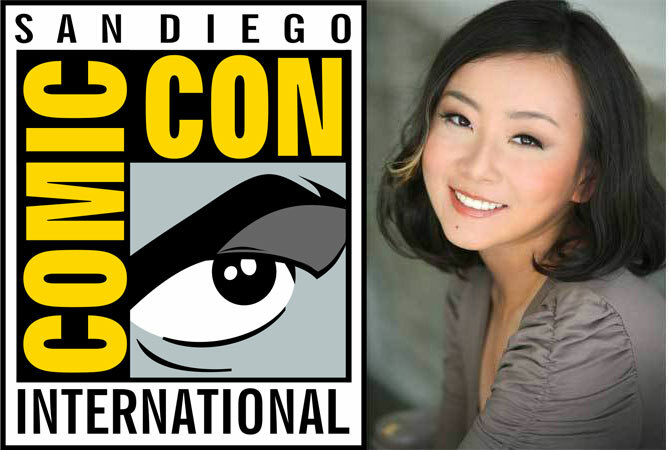 If you only have a pass for Sunday to this year’s Comic-Con, and were bummed that you weren’t going to be able to see Marie Lu, well, worry no more! She will be in another panel on Sunday, July 21st, and it looks to be just as good as the Friday panel! Dystopian societies, postapocalyptic scenarios, enhanced (and deadly) abilities, and mysterious government branches make the future a not-so-safe place to be. Moderator Anna Jarzab (Tandem) joins authors Marie Lu (the Legend series), Gen Albin (Crewel), Brandon Sanderson (Steelheart),Margaret Stohl (Icons), Amy Tintera (Reboot), and Michael Johnston (Frozen) as they discuss what it takes to survive in the future worlds they’ve created. So, get ready for more literary talk from these awesome authors! For those who will be going to San Diego Comic-Con this year, we have good news! Author Marie Lu will be there and she’ll be in a panel! I got a chance to meet her at last year’s Comic-Con and she is such a joy. Unfortunately, due to my inability to clone myself, I probably will not get to see her at this panel as I will be stuck in Hall H. However, for you who would rather spend your time away from that massive venue, I definitely recommend seeing Marie here as they discuss book stuff.